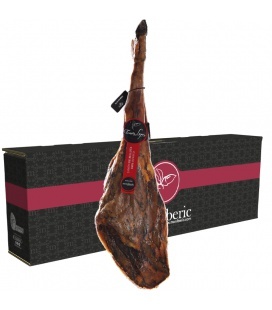 The Iberian Cebo Ibérico Ham is obtained from the best Iberian pigs, which throughout their life, from birth to slaughter, receive a diet basedexclusively on top quality cereals and legumes. 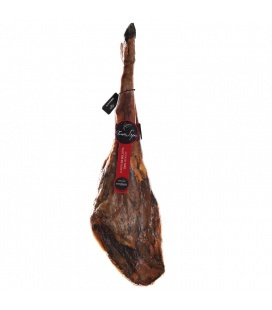 Our Cebo de Campo Ibérico Ham comes from high qualityIberian pigs. These animals are raised in the open air in Andalusia, where they can graze and exercise. This favors fat infiltration in the meat, making it more juicy. 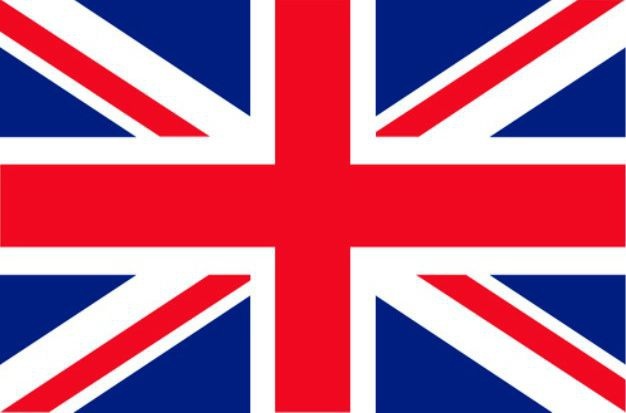 Their diet is based on natural pastures and is complemented with first quality cereals. Our 100% Iberian Acorn-fed Tomás López Ham is the most exquisite, it has a persistent flavour with a juicy and intense texture. This ham comes from 100% Iberian pigs, raised in freedom, fed in a montanera regime based on acorns and natural pastures, with a curing period of more than 36 months with natural ventilation regulated by our expert ham experts.